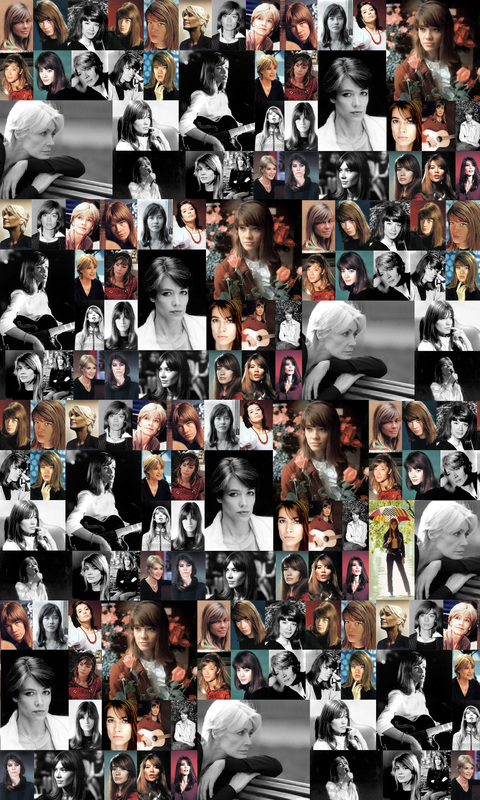 Françoise Hardy – if you haven’t already spent hours days swooning over photos of this woman, your Tumblr/We Heart It/Pinterest-ing has been seriously slacking. The Parisian sixties style icon and songstress is an evergreen pool of cool – with her beauty and fashion choices maintaining impressive relevancy ’till today (and forever!). We’re taking style notes (and eyeliner notes… and hair notes) from this vintage muse. Let’s learn from the best and follow Hardy’s league. Bonne chance! 1. Wear hats: little hats, big hats, all kinds of hats. 2. Wearing wide-rimmed white sunglasses is acceptable / recommended. 3. Never leave the house without an umbrella. 4. Become well versed with motorcycles. 6. A guitar is the absolute best accessory. Yes, even in your bathtub. 8. Wear stripes as often as you can *important*. 9. When you’re not wearing stripes, wear shiny metallic things. Thanks for the advices. It's fun.